Swoon Style and Home: Hammer Time! 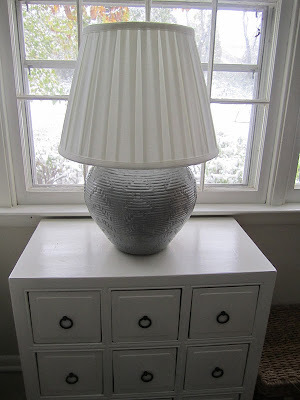 Another super cheap lamp redo. Our former neighbors just moved to Chicago, which is a huge bummer. We loved them and will miss them. Before they left, they had a big yard sale, and knowing how much I love (um, and need) home stuff, they asked if I might be interested in some of their stuff. Was I? Yippie! I ended up buying a desk for Little, a little bench, three lamps and a big mirror for $50 total. Up today: one of the lamps. As you can see, it has a sort of Southwest vibe going on. I liked the shape and the texture a lot, but I knew it would not work in my home as is. It is the perfect size for our little apothecary table in the den. First thing I did was lose the shade. I wanted something a little more tailored and modern. Next up: spray paint! I decided not to fight the texture and to use a hammered finish. 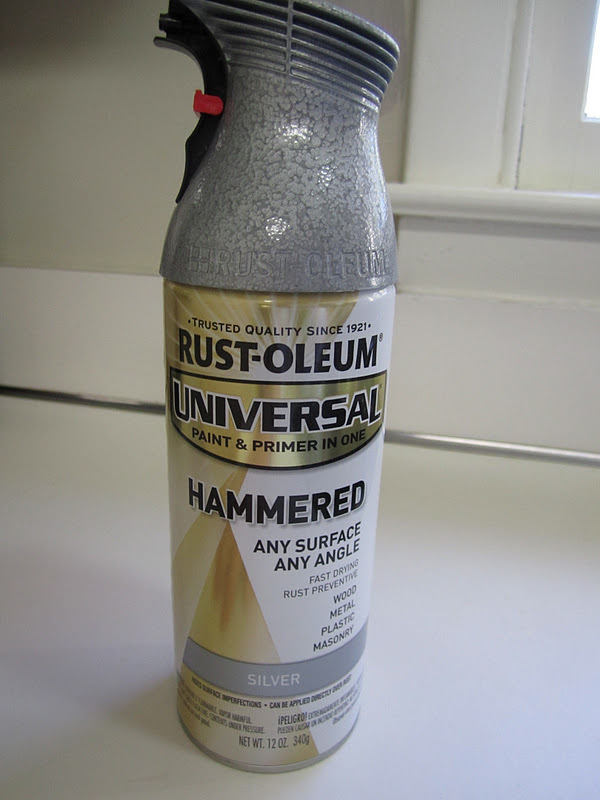 I want lots of silver in my den, so I bought Rustoleum's silver hammered spray paint. I found a great shade at Target for $14. I ended up buying a new harp for about $5 at Lowe's, since the harp that came with the lamp was huge and I could not find a shade to fit it (even the largest shades at Target, Lowe's, etc. were too short). And here is the new-to-me lamp! I love how it looks in the den (apologies for the poor quality of the lit-lamp picture - it's so hard to get the lighting right - and note the snow in the background. 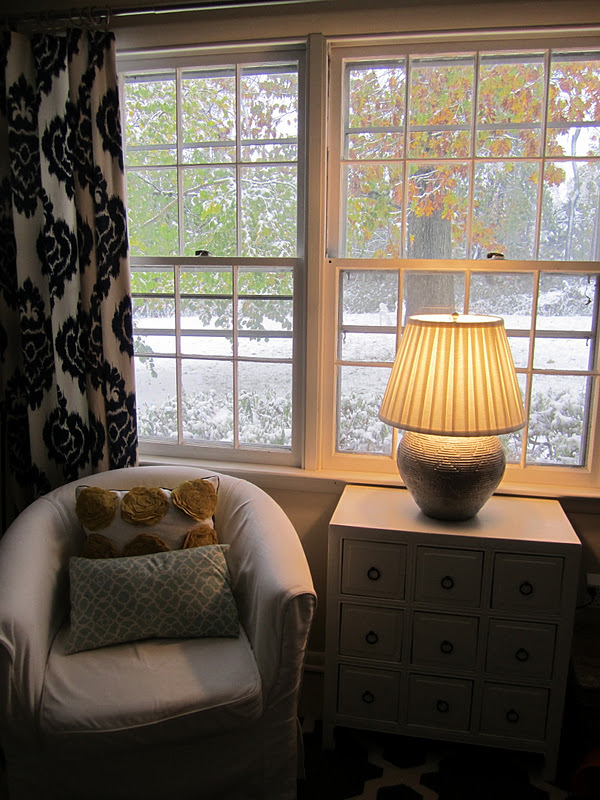 I snapped these pix the day of the freak October snowstorm)! I'm so happy with how this turned out. I wanted a really substantial lamp in this spot, because I don't want anything else on that table. This fit the bill perfectly. 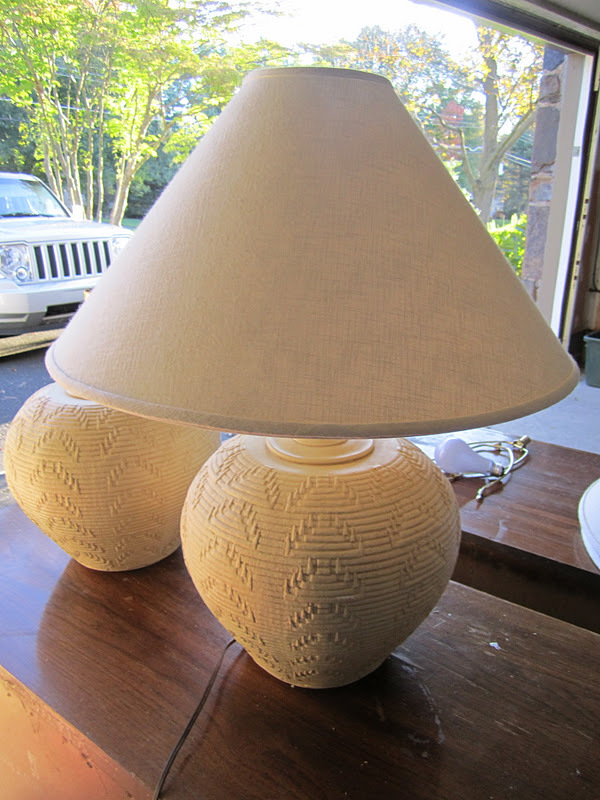 I've got this lamp's twin and a larger textured lamp from this same haul left to transform. 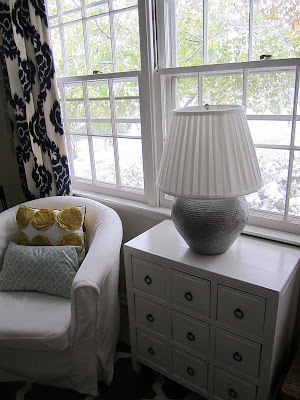 I'm thinking I will put the twin in the guest room and the larger lamp in the upstairs hallway. Stay tuned! So perfect for that table! You have the best eye for lamps to transform. That fits perfectly in that room! I'm actually working on a couple of lamps this week. Your post came at the perfect time for inspiration! Thanks everyone! I'm happy with the end result! It is ADORABLE!!!! I'm obsessed with that Rustoleum spray paint, I've used it on so many projects! I also love your curtains - where are those from? looks great! 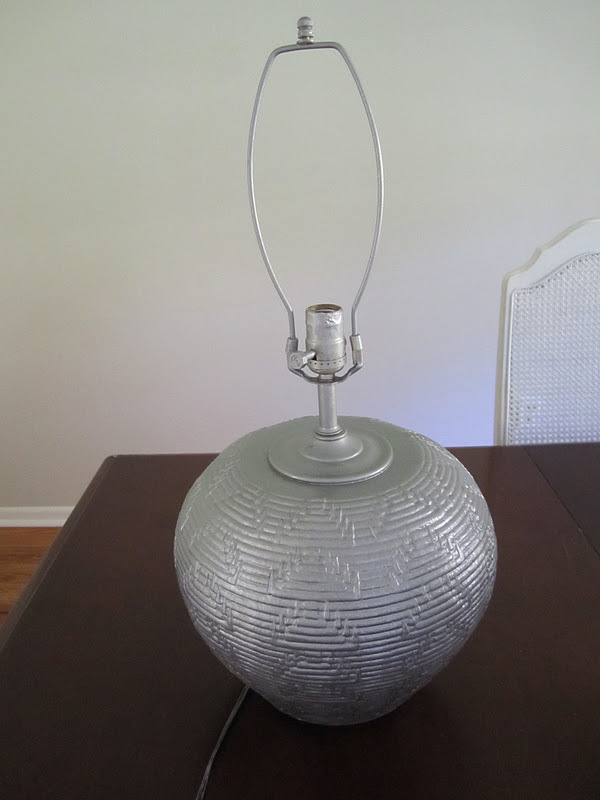 have you seen the mercury glass spray paint? i'm excited to give that a try! i think there are tutorials on pinterest! 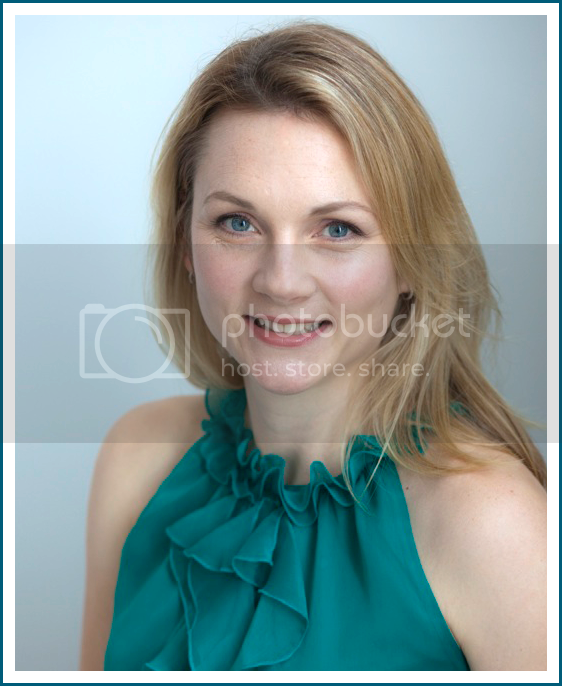 Nicole - tell me more! 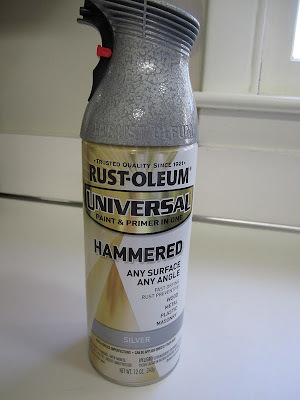 I've seen mercury glass spray paint and am so eager to try it but is it limited to use on glass?